Creating an effective Safety Culture is something we preach daily to our clients, partners, friends, and family. 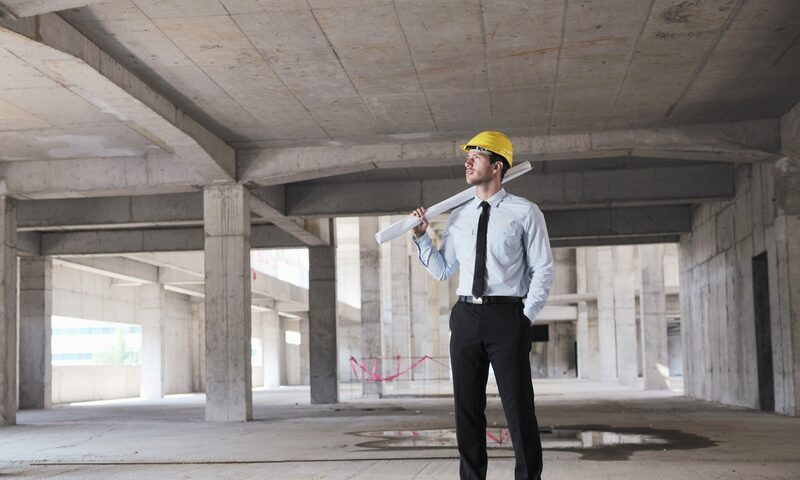 Through our decades of experience, we have learned that an effective Safety Culture is something that is developed through individuals buying into the idea that safety is the top value at home and work. Here are two main obstacles we must overcome to change the view of fall protection. We as safety professionals consistently face two adversaries when changing workers’ mindsets towards safety. One of them is the idea of comfort, a luxury that almost all of us enjoy and appreciate regardless of the setting. It’s hard to argue that being comfortable is more pleasant than being uncomfortable, and workers agree. Fall protection harnesses are designed to be snug and tight, making them a point of contention for workers across numerous industries. It can be challenging to convince them of the necessity of fall protection simply due to their preferred level of comfort. Another excuse as to why fall protection regularly gets neglected stems from poor planning and a misconstrued value of time. 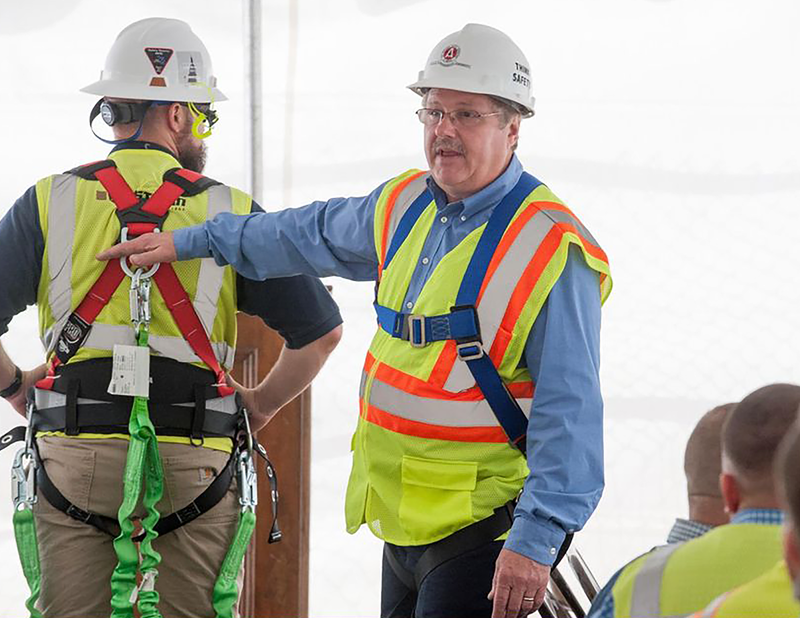 Workers fail to plan their days and can forget potential environments where fall protection is needed, often times leaving their harness and other necessary equipment away from the job site. This leads to the excuse from workers of not wanting to “waste time” by retrieving their harness, citing that they “have done the job a million times and haven’t fallen once”. Changing the mindset of workers is a difficult task that only gets more difficult the longer bad practice continues. In order to see a significant change amongst attitudes toward Fall Protection safety and equipment, a significant investment of time and persistence is needed. Employers and leaders need to take the time to encourage their workers to consistently think about why they should be safe in addition to how. Remind them that the purpose of safety is to get them back to their families in one piece and a few hours of discomfort of Fall Protection equipment is worth the reward. 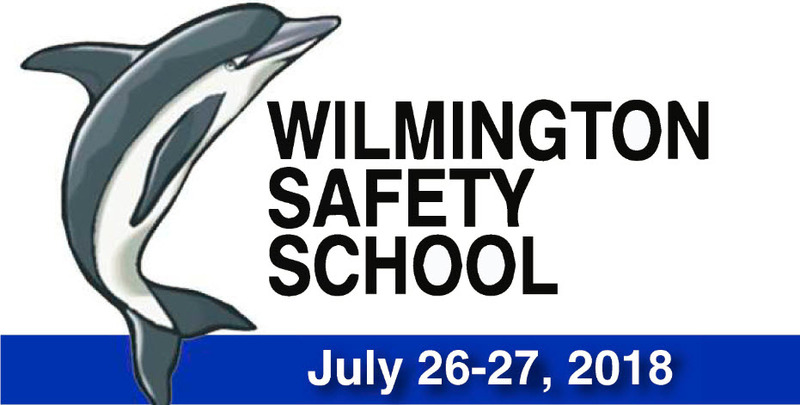 WILMINGTON HEALTH AND SAFETY SCHOOL: DON’T MISS IT! We highly recommend attending this school and the early bird special ends soon, so don’t miss out. Click here to find out more and to register now. What Makes our CSM So Special? 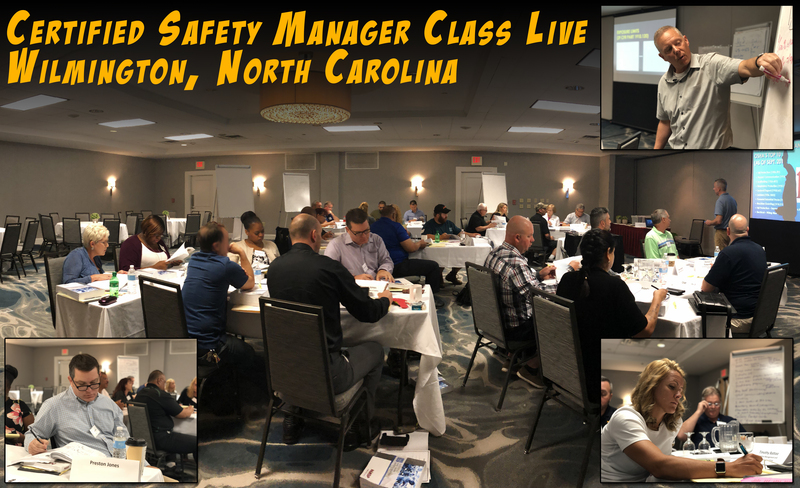 One of the principal goals established at NASP’s inception was to find a new way to present workplace safety training that would help employees to remember what they were taught and then teach that training methodology to those trained employees. It was a time (the early 90s) when almost all safety training came in the form of a relentless and tiresome lecture or a series of videos both of which lose the attention of the adult learner very quickly. Employees simply did not remember much of what they heard in those classes. NASP was founded with a deeply-held desire to help reduce deaths and injuries in the workplace. It was obvious that one way to do that was to make safety training more effective by finding a way to help employees remember what they were taught. NASP decided training must be different. The result was the first use of modern adult training methodology in workplace safety training in the United States. There was some trial and error and a great deal of help and advice from our students before we finally reached a true, cutting-edge course on workplace safety training. Word spread quickly, and we soon had representatives of other safety training organizations attending our courses which included a “how to train” component and utilizing adult training methods. Soon, a number of OSHA employees attended our courses and before long, OSHA began to incorporate this training methodology into their training. We were thrilled to see this innovative approach take root and grow in the United States. Fast forward twenty plus years and we continue to make our mark in the arena of workplace safety training. We have many other competitors with similar names, but there will always be only one Certified Safety Manager Course. 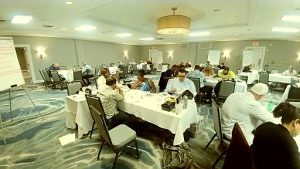 Our last CSM in 2018 will be held in New Orleans on October 1-5, 2018. Click here to register now. When things have been going well for a period of time, workers can develop a false sense of security. “I’ve been doing it this way for 20 years,” they may say. 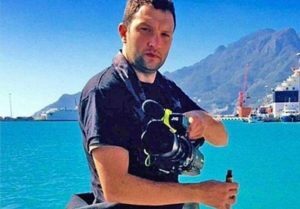 “Nothing will ever happen to me.” The problem with this line of complacent thinking: The majority of people who have been injured on the job probably thought that – until the unthinkable happens. A recent fatal explosion at a mill in Wisconsin highlights why complacency is dangerous. Only 19 people were working at the mill that night and, from all appearances, it was just another regular shift. The facility had a dry corn milling process, which is inherently a dust-producing operation. The corn dust is combustible and known to be capable of generating overpressures under the right conditions. At approximately 11 p.m. that night, an explosion killed five workers and injured the remaining 14 people. The U.S. Chemical Safety Board (CSB) is investigating, and what they discovered so far and released to the public is startling. In interviews with workers, they told the CSB they believed conditions at the mill that night were “normal.” Up until just moments before the explosions, workers were either unaware of any problems or assumed their troubleshooting efforts would reveal a manageable situation. One of the workers even noted that before the explosion, it was a “really quiet, really calm night.” Other workers noted they smelled smoke. But the superintendent said based on his previous experience, the worst he’d seen when someone reported smoke in the mill was a burning belt or motor. The CSB hasn’t determined the cause of the explosions yet. 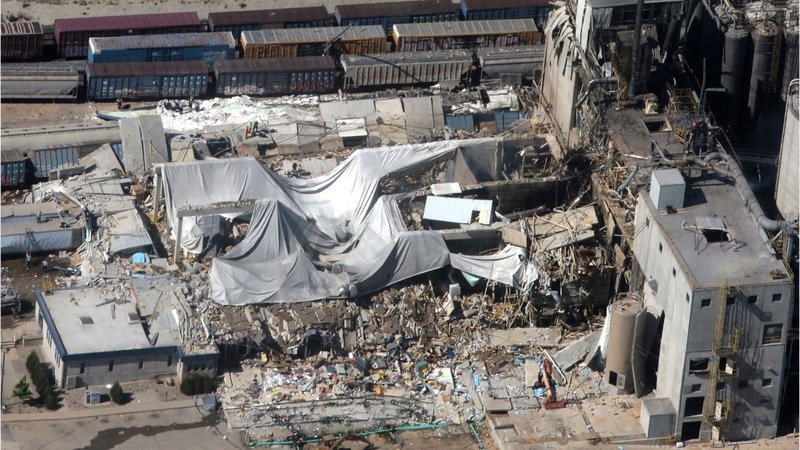 But the agency noted there were dust clouds before the incident, and that the stirring up of combustible dust on the floors, overhead piping and other surfaces inside the mill may have triggered the fatal blast. Either way, the interviews with workers reveal they were in a lull of complacency – thinking nothing bad would ever happen, until it did. Let your employees know that complacency can be a killer. Generating interest in safety and getting workers involved in your program is one of the best ways to stamp out complacency – before it leads to big trouble. To learn more about dealing with HAZMAT Emergency Responses such as dust explosions, plan on attending our HAZWOPER Train-the-Trainer in Wilmington, NC November 5-9, 2018. Click here for details. What’s New with OSHA Under Trump? President Trump’s first year-plus in office has been anything but quiet. But his influence on OSHA and workplace safety hasn’t made too many headlines. Jordan Barab, a former OSHA official under Obama, reviewed the biggest changes OSHA has made in the first 17 months of the Trump administration during a session at the AIHce conference in Philadelphia. It’s no secret the president has moved to trim back regulations. Barab noted that one of Trump’s first actions as president was to issue executive orders dealing with the regulatory process. 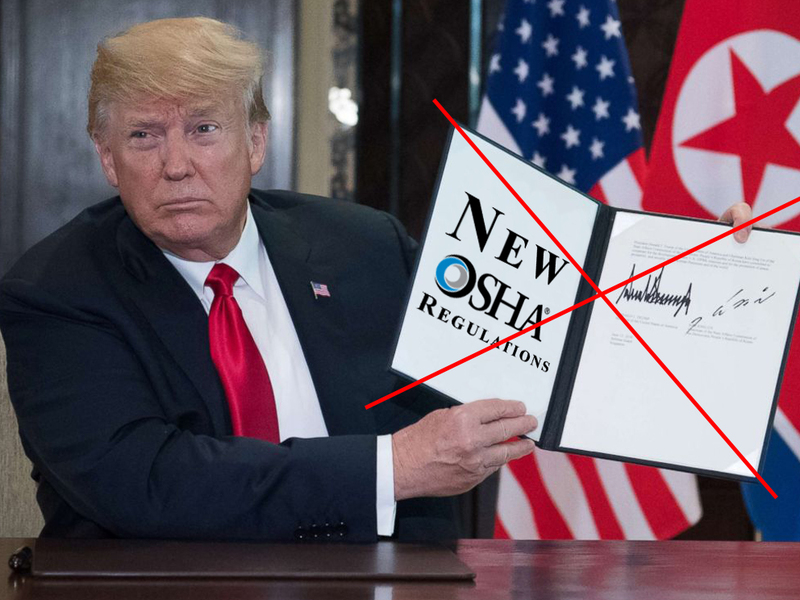 The most well-known executive order established that for every new federal regulation passed (including by OSHA), two regulations must be repealed. Barab said the executive order hasn’t been used yet by OSHA or any other federal agency. He added that developing a new rule takes several years, and it would take just as long to repeal one. OSHA’s recent regulatory agenda showed movement on new safety regs. But given Trump’s executive orders and Republicans’ general dislike of regulations, Barab predicted that no major new OSHA standards will likely be finalized while Trump is in office. Peg Seminario of the AFL-CIO also spoke during the conference. Seminario noted that Trump has nominated Scott Mugno, a former safety director for FedEx Ground, to be the leader of OSHA, but he still hasn’t been confirmed yet. It’s unclear when Mugno will be confirmed as OSHA’s new leader, Seminario said. Until OSHA does have a leader, Seminario said it’s unlikely there will be any major changes made by the safety agency. A struck-by incident killed an employee of this company. OSHA visited after having fined the company just last year in a separate incident. Douglas N. Higgins Inc., a utility company, faces $162,596 in proposed penalties following an incident in which an employee suffered fatal injuries when a steel plate fell on him as he installed sewer lines. A New York cosmetics factory is looking at $281,000 in fines after multiple explosions in November 2017 killed one worker and injured 125 others. OSHA cited Verla International for multiple safety violations leading to the deadly fires, including failure to properly dispose of flammable materials and failure to develop an emergency response plan. An energy company and a pipeline operator both failed to protect workers from potential fires at a gas pipeline, and the businesses are facing serious OSHA fines after two workers were fatally burned. The employees were clearing a blockage in a gas pipeline when flammable vapors and gases from a vacuum truck leaked, igniting the pipeline and starting a fire. A Midwest company faces $147,822 in OSHA fines for exposing employees to lead and other hazards. OSHA says 14 employees were exposed to airborne lead at levels 11 times the permissible exposure limit. 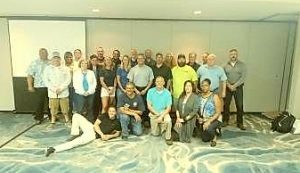 CSM Graduates – June 2018, Wilmington, NC. Congratulations! !